After a draw at home to Augsburg and a shock 2-0 defeat to Hertha Berlin last week, Bayern's miserable form continued as they struggled against Ajax, who stay top of Group E.
MUNICH: Noussair Mazraoui's superbly worked first-half equaliser stunned an out-of-sorts Bayern Munich on Tuesday, as Ajax held the German giants to a surprise 1-1 draw in Bavaria. Bayern coach Niko Kovac had demanded a reaction from his players ahead of the game, and they delivered in furious fashion in the opening exchanges. After early chances had fallen to Franck Ribery and Arjen Robben, Mats Hummels gave a dominant Bayern the lead after just four minutes, heading in Robben's inswinging cross. The visitors worked their way back into the game, however, and Hakim Ziyech forced a scrambling save from Manuel Neuer on 16 minutes. They were rewarded five minutes later when Noussair Mazraoui linked up brilliantly with Dusan Tadic and lashed the ball past Neuer. 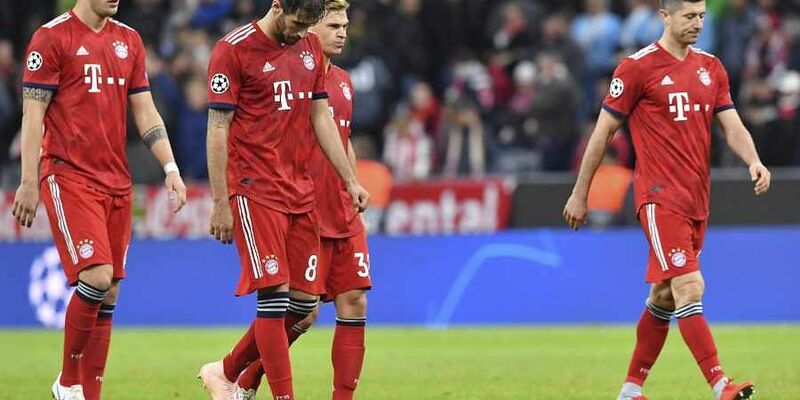 Unsettled, Bayern completely lost their rhythm and, other than a handful of half-chances for Hummels and defensive midfielder Javi Martinez, created little of note before half-time. Ajax came closer, Ziyech once again testing Neuer with a vicious long-range shot just before the break. The underdogs remained the better side in the second half, Nicolas Tagliafico calling Neuer into action again straight away. Thiago's shot brushed the outside of the post on 66 minutes, but Ajax should have taken lead 20 minutes from time, Donny van de Beek missing a sitter after finding acres of space in the box. Bayern, in turn, had their chance to win the game on 77 minutes, Serge Gnabry setting up fellow substitute James Rodriguez, whose toe-poke was clawed away at the far post by Andre Onana. The home side's hearts were in their mouths one more time deep into stoppage time when Lasse Schone's free-kick thundered against the bar, and Bayern's grim evening was compounded as Hummels stumbled off the pitch just before the end having picked up a second blow to the head.